What's the difference between bucket and jar? Categories What's the difference between these packages? We have a vast experience in the beauty industry, so we chose the containers for our product taking into consideration the niceties of estheticians' work. 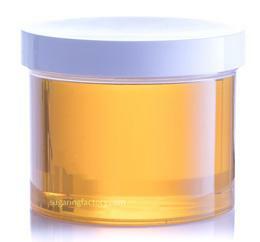 We chose two types of containers that will meet the needs of any esthetician. 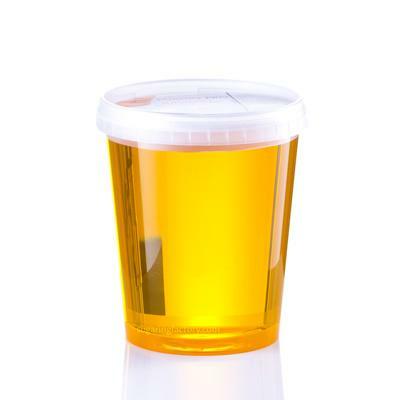 All our containers are compatible with standard professional wax warmers; they are tamper evident, made of transparent plastic, have the same volume. A plastic container with screw cap. This type of a container has a screw cap with an inner membrane that ensures easy opening, even if the container is upside down. The screw cap allows closing the container tightly when being opened and closed multiple times as well as repeatedly transported. Like this containers, a lot and recommend them for display, exhibitions and so one. It benefits the paste look and attracts attention. A plastic container with a snap-on lid (bucket). This container is made for the professionals who value their time. The container opens and closes easily. The label is only on top. This allows the esthetician to see who much paste is left. We recommend this type of containers for estheticians to keep in the working area where you don't need to open and close it many times or transport it anywhere.